It seems like the shogi beginner class today is just a little success. Actually is just only about 8 peoples is playing the shogi. So far is just only strengthen their playing skill, unfortunately the announcement is quite late to reach the members. Whatever, today I introduce some of the people the smallest shogi, that only 3x4 squares. This is just an easier version of shogi for the peoples to play. Anyway, I decided to plan a beginner and intermediate class for shogi in the next coming Monday. Just hope that the announcement will be launched during Friday, so that everyone will know about it. 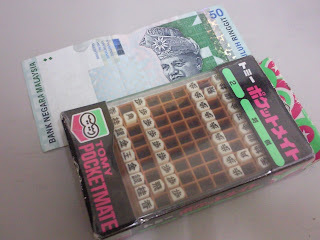 Today quite a lot of peoples playing reversi and dam during the weekly activity. 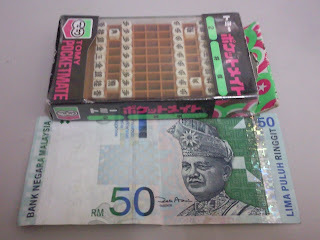 I got a small set of shogi myself, it cost about RM30++. This is the most creative and best small chess set I had ever seen. It can let you to save the game, you can keep the unfinished game and play next time.